ST. GEORGE – A juvenile was transported to the hospital and a 30-year-old man was arrested Sunday after the man allegedly smashed into the back of a car on Bluff Street in St. George before fleeing the scene while under the influence of alcohol. Just before 8 p.m., officers responded to an injury collision after a red pickup truck with the license plate “MOODY” crashed into the back of a northbound white Dodge Charger stopped at a South Bluff Street stoplight on the Interstate 15 overpass, according to a probable cause statement written by St. George Police Officer David McDaniel in support of the arrest. The driver of the truck, later identified as Matthew Gary Moody, of St. George, did not slow down for the red stop light and hit the rear of the Dodge Charger at a high rate of speed, causing severe damage to the vehicle, according to the statement. The impact of the collision also injured a girl who was a passenger in the Dodge Charger, the statement said. The girl was transported to Dixie Regional Medical Center in St. George with back injuries. Immediately following the collision, Moody left the scene without stopping and continued on to northbound I-15. A witness on a motorcycle observed the collision and followed Moody on I-15. Moody pulled over just short of Exit 8. He was the only occupant of the truck. Police discovered Moody’s driver’s license was suspended for an ignition interlock device, and that he was an alcohol restricted driver. A strong odor associated with an alcoholic beverage was coming from Moody’s breath, McDaniel said in the statement, and he had bloodshot, red and glassy eyes. Moody told police he had taken Effexor earlier in the day for anxiety, the statement said. Matthew could not stay in the start position and stood with his feet shoulder width apart. Matthew missed heel to toe on every step he took. Matthew stepped off line several times during the test. Matthew performed the one legged stand test. Matthew could not count in order and would go back and forth on number. Matthew could not keep his foot off the ground for more than 3 or 4 seconds at a time. Matthew also swayed in place badly. Moody refused to allow authorities to test his blood alcohol content level, according to the statement. Moody was found to be on probation under supervision by Adult Probation and Parole. He was also found to have six prior arrests for DUI and multiple felony convictions for DUI in the last 10 years, the statement said. Moody was arrested and booked into the Washington County Purgatory Correctional Facility. 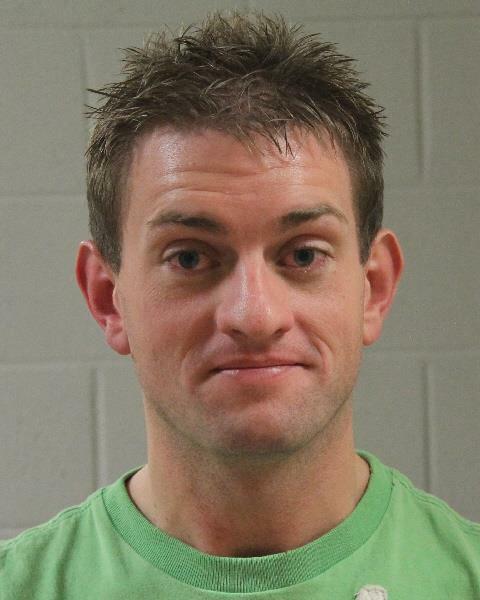 He was charged with two third-degree felonies for a third subsequent offense of driving under the influence of alcohol and failure to remain at an accident involving injury; three class B misdemeanors for driving on a suspended license, operating a vehicle without an interlock system and alcohol restricted driver; and a class C misdemeanor for traffic control signal violations. Fifth District Judge Eric A. Ludlow ordered Moody’s bail amount set at $13,230 during his initial court appearance Monday. Moody was found indigent by the court and will be represented by court-appointed attorney Douglas Terry. His next court appearance is scheduled for April 20. 6 prior dui arrests….that’s a little excessive. This guy needs therapy… Hmmmm I wonder if he happens to know any therapists in St. George?